Officers under the Central/ State/U.T. Governments or Central Autonomous/ Statutory/ Autonomous Bodies or Research and Development Organization (i) Holding analogous posts on regular basis; or (ii) With 3 years regular service in the grad pay of Rs.4200/- in the relevant field and possessing educational qualification given for direct recruitment : Essential: (i) Bachelor Degree in Library Science or Library and Information Service from a recognized University/Institute. OR B.Sc. Degree or equivalent from a recognized University and Bachelor Degree of Post Graduate Diploma or equivalent in Library Science from a recognized University or Institute. And (ii) 5 years’ experience in a library of repute. (iii) Ability to use computers- Hands on experience in office applications, spread sheets and presentations. 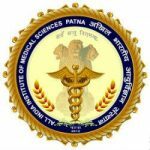 Librarian Vacancy – Last Date 05 March 2019 (Patna, Bihar), All India Institute of Medical Sciences, Patna (AIIMS Patna) recruits Librarian Posts. Candidate with B.Sc., DCA, Graduate, PG Diploma experienced can apply.